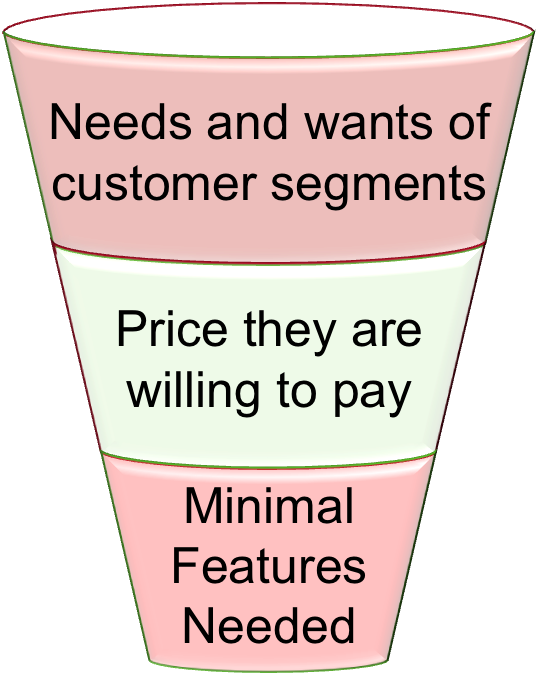 Does a startup need to worry about segmentation? Is there such a thing called horizontal product – one that serves customers of all sizes? Product Management consultant, April Dunford, makes a strong case for segmentation and targeting even for so called horizontal startups. My answer to these questions is categorial YES – there is clear need for segmentation and choosing the segments to target regardless of how widely useful the product is. This is why I wrote about. “Segment-Version fit and not Product-Market fit“. Product Centric Vs. Customer Centric: There is really no horizontal product. If there is one it is based on looking at only the value delivered from a product’s features. Value delivered to a customer includes product value, relationship value, convenience and other intangibles. Through this lens, customer becomes the center and not the product. Buying Process: How, why and where businesses buy vary widely, based on their size, location, etc. Knowing this is key to reach the segments through the right channels. We even have to worry about buying behavior of individuals (be it end consumer or the purchasing manager) and position it differently. Competition: Different customer segments have different alternatives. Knowing this is key for messaging. Pricing: Different segments pay for it differently and have different WTP. Knowing this is key to pricing the product and maximizing profits. But the margin is too narrow to write more here, and this blog is all about that. Marketing is about segmentation, targeting and positioning. There is nothing more to it.